Welcome to the Brady Bunch House!!! 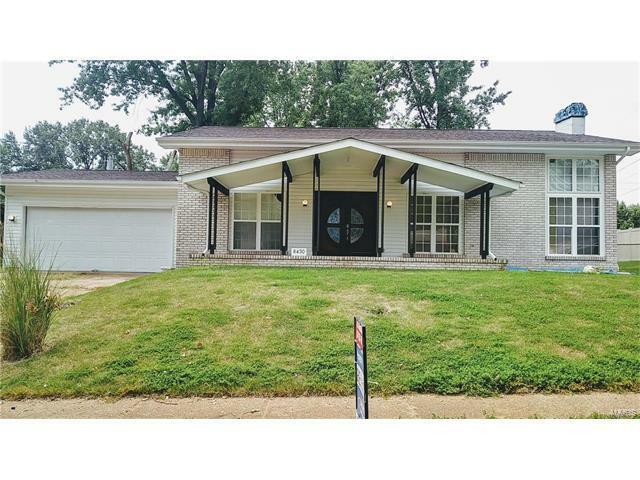 An amazing split level home that has been COMPLETELY rehabbed from the roof down! Kitchen with all new cabinets, and granite countertops. Master suite has a Jacuzzi tub, large closet, and private large deck overlooking the lovely privately fenced backyard. The great room has a beautiful fireplace, wood floors, floor to ceiling windows, open floor plan with a stairway that leads up to the 3 bedrooms and another leading down to the family room, 4th bedroom, and 1/2 bath. This house has loads of space. Hazelwood school district!!!! Great quiet neighborhood!!! Come and see this one today!!! Back on market, buyer's financing fell through. 170 north to Hanley Rd North, north on Hanley, turn right on Laddi, turn right at Berkshire, turn right on Lariat, the house is on left.